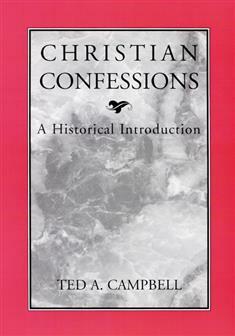 Ted A. Campbell, Christian Confessions: A Historical Introduction. Louisville, Kentucky: Westminster John Knox Press, 1996. The historic teachings of four major Christian traditions–Eastern Orthodoxy, Roman Catholicism, Reformation and Union Churches, and Evangelical and Free churches–are set forth in this volume in a comparative framework. Following a brief historical introduction of each tradition, Ted Campbell provides an extensive overview of the tradition’s beliefs on religious authority, God and Christ, human nature and salvation, and church, ministry, and the sacraments. The book concludes by considering whether a definable core of Christian teachings cuts across denominational and confessional boundaries. Click here to see this book on the web page of the Westminster John Knox Press and to order copies there.